Stock options consist of puts and calls. To explain option trading, you need to know the difference between these two vehicles. A put gives you the right to sell a stock at a specific price for a specific time period while a call gives you the right to buy a stock at a specific price for a specific time period. Buying a put is similar to shorting a stock which is an action taken in a bearish market while buying a call is similar to buying a stock which is an action taken in a bullish market. The big difference between stocks and options is that generally, unless a company goes bankrupt, you can trade a stock for an indefinite period into the future. However, most stock options are good for a maximum of 9 months. LEAPS can be purchased which have a maximum expiry date of close to around 2 and a half years but for the sake of this article, only options will be discussed. Weekly options can now be traded as well. Weekly options start to trade on Thursday and expire the following Friday. These short term options are a favorite of traders who day and swing trade expensive stocks. Binary options are short term options which make traders a fixed amount of money when they expire in the money. They cannot be resold like regular options. 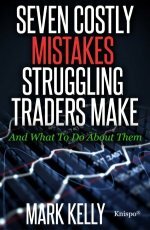 To explain option trading properly, you need to know that the cost of an option is mainly dependent on two factors – distance to the strike price and time to expiration. The price of puts and calls go in the opposite direction. For example, if a stock is trading at $30 a $20 put will likely be going for pennies as the likelihood that the price will drop to below $20 by expiration is low. However, the $20 call should be priced above $10 as the call has $10 of intrinsic value attached to it. Let’s look at an example. On November 17, 2006 Home Depot (HD) could be purchased for $38.20. At the same time a May 37.50 put was approximately $1.85 and a May 37.50 call was about $3.05. Both the May put and call expire after the end of trading on the 3rd Friday of May 2007. If these options were February options, then they would expire on the 3rd Friday of February 2007. Up to the expiry date, the put option would give you the right to sell your shares of HD to the seller of your put option at $37.50 which you would use provided the stock was below $37.50. 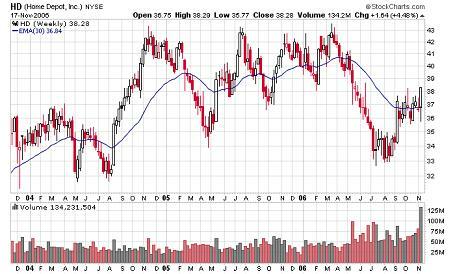 If HD closed above $37.50 on the expiry date then your put option would be worthless. Up to the expiry date, the call option would give you the right to buy shares of HD from the seller of your call option for $37.50 which you would do provided the stock was above $37.50. If HD closed below $37.50 on the expiry date then your call option would be worthless. To explain option trading further it may be helpful to learn about option trading strategies. These strategies may help us explain option trading to you such that you have a better understanding of option trading.